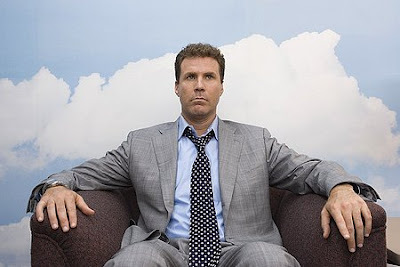 So apparently all you have to do is make a raunchy youtube style video 90mins long, and Will Ferrell/Adam McKay will drop by and Produce it. At least that’s what this trailer leads me to believe. This looks like Superbad mixed with Borat. It makes a big deal about things that aren’t a big deal (Superbad) and it acts like it’s a documentary when everything seems pretty staged (Borat). I wouldn’t be surprised if the whole damn thing were scripted, which is fine, but then why give it this unscripted feel? It just seems fake. It could also be easily mistaken for another episode of MTV’s True Life: I’m a Virgin (which is also scripted). Actually the only reason I gave it 2 stars instead of 1 was the line “I am going to do to your virginity, what Alfred Hitchcock did to birds.” Now that’s funny. The rest of it, not so much. I’m not ruling out watching this movie at some point but the chances, ironically like its production values, don’t look good. But watch it and make up your own mind. Let us know what you think in the comments! On a total side note I’ve made all the youtube embeds on the site bigger so enjoy! "Sometimes the most important fights are the ones you avoid."